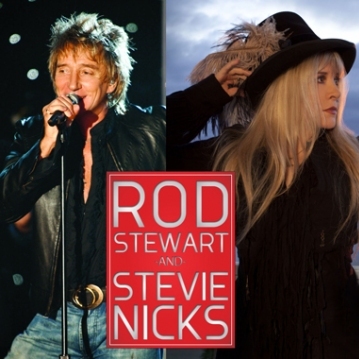 If you missed the 2011 Heart and Soul Tour, the love fest between Stevie Nicks and Rod Stewart, you’re in luck! 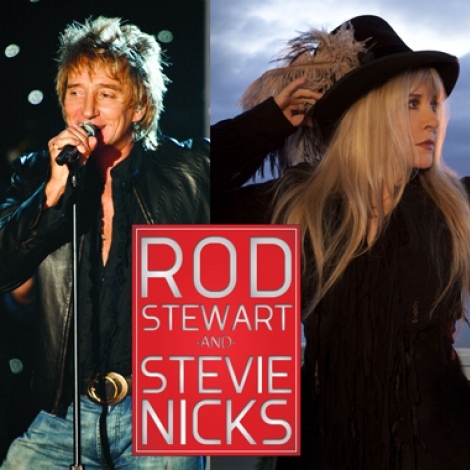 They will be traversing the country and arriving in south Florida at The Bank Atlantic Center on Saturday, August 4, 2012 at 7:30 p.m.
Rod Stewart may not be “For ever Young,” as one of his more famous songs suggests, but my sources tell me in fact, he just may be forever fantabulous! At 66, the veteran rocker is the consummate crowd pleaser and glides effortlessly across a stylish stage. Stewart and Stevie Nicks of Fleetwood Mac perform a three-hour concert packed with classic hits, good vibes and plenty of nostalgia. I just love nostalgia, especially when it comes to rock and roll, concerts, a good night out and superb entertainment. What are you doing this month? How will you spend your free time? With the dog days of August upon us…let’s remember to let our own hearts and souls sing out loud, enjoy the company of others, play, swim and smile!